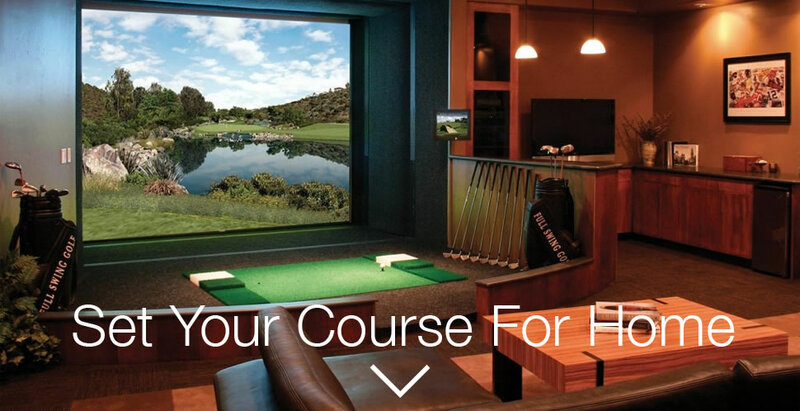 Golf Simulator Frequently Answered Questions - Play, Inc. Which simulator brand has the most realistic play? The most realistic play in our opinion is the Sports Coach, and second would be a tie between aG and FSG. Best imagery is by far TruGolf's E6Golf v. 1.6. Most fun to use, is hands down Sports Coach with E6 1.6 on it. Because of the accuracy and realistic play along with all of the different modes. Small to large groups can have tons of fun. Sports Coach is even good with kids around because it picks up their shots, while most other sims will not pick up their shots. SkyTrak, Trackman, GC2 - Of course because these are launch monitors, but when using them out	doors, a projected image would not show up on the screen. Any system running E6Golf 1.6. What are the different types of simulators? i.e. infrared, high-speed camera etc. - and which is the best? Infrared/Optical Sensors use optical sensors to be blocked by an object passing over or past them, this is very antiquated technology. Radar is what aG used to use, and is used by most launch monitors, this is average technology. High Speed Cameras are the newest technology and are very good. Using high speed machine vision cameras to see what the ball/club is doing and using those metrics in flight replication. Best is hands down High Speed Cameras. Minimum room sizes for golf? Soccer? How far can the tee box be from the screen? The hitting area should be 9-10 1/2 feet from screen. How accurate are they on distance & location? All high end sims, are pretty accurate with distance and shot shape. Most are about 95% of what really happens. Is it accurate for every type of swing, even improper swings? Does it know what club you're swinging? No, they just take the raw data of swing and ball flight data. Can different types of turf be installed to allow play from the rough etc? With Sports Coach, and most camera based sims, this answer is a no most of the time. Example, SC uses a darkened sand, rough and fairway panel - very expensive at $500-$750. But as long as the sand, rough, and fairway is non reflective and a darker green it can be used. 1 Year back to base warranty. What happens if a ball goes through the screen, or bounces back & breaks a light or camera? Normal possibilities of the indoor golf industry. No ability to get it replaced without additional charges. Important to not over tighten a screen, and equally as important to make sure that side baffles and top baffles dissipate energy.